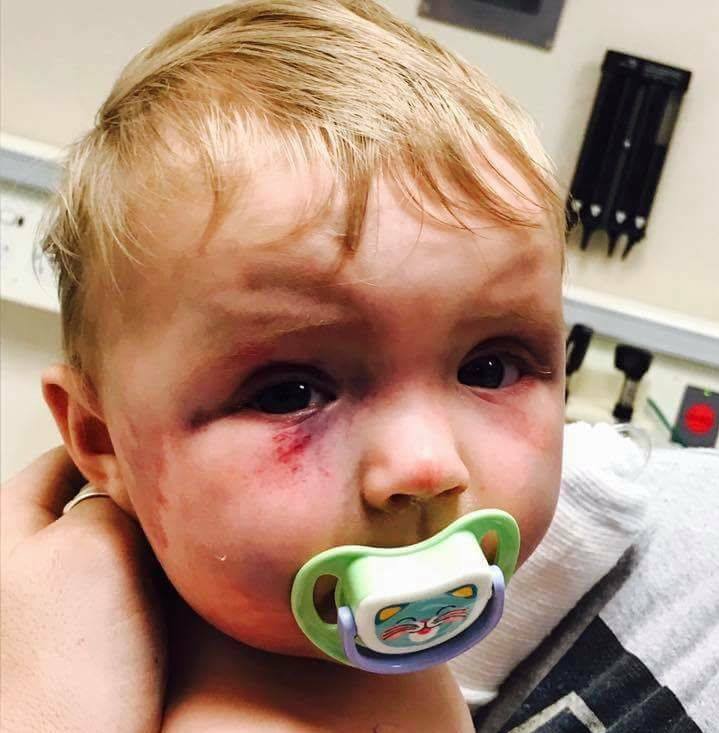 The father of a little girl who was beaten by her mother is calling for those who hit children to be jailed. 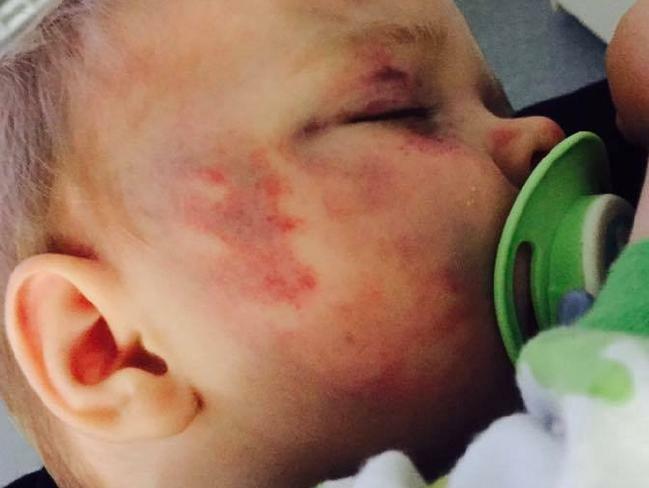 Evie McMahon was just eight-months-old when her mum, Lorien Norman, called the police to say she was about to throw her baby girl off the balcony. 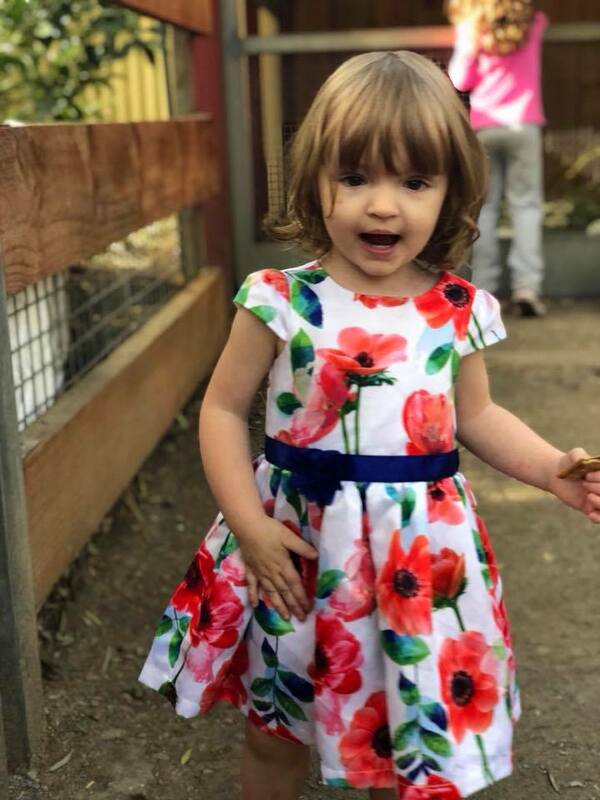 Police arrived at the house in October 2016 and found Evie who had been severely beaten with a kitchen utensil and was covered in cuts and bruises. Now, almost two years later, Evie’s dad Shane McMahon has spoken out about his daughter’s recovery. 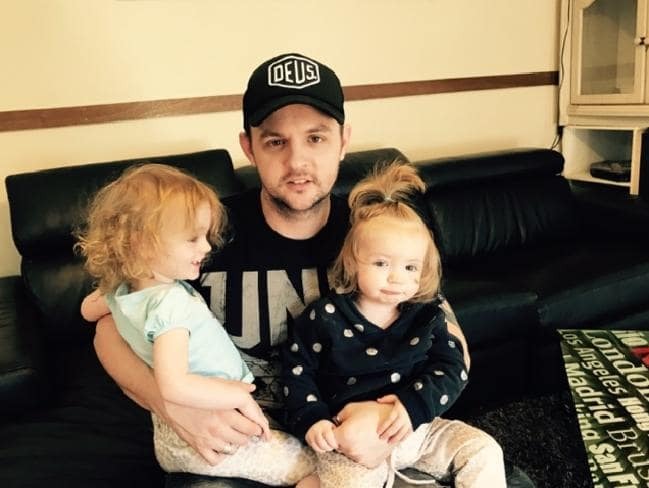 On that day in 2016, Shane was told to go to the Women’s and Children’s Hospital in Adelaide ‘as soon as he could’ because Evie was there suffering with ‘life threatening injuries’. They told me she was awake but had severe head injuries. Norman, who is now 28, walked free from a South Australian court with a good behaviour bond and $500 fine, despite facing up to 13 years initially. Shane believed this sentence was ‘too light’ and as a result proposed a bill for harsher penalties for domestic violence perpetrators. We drafted up a bill on the issue about child protection and domestic violence. We want a mandatory jail sentence for perpetrators. 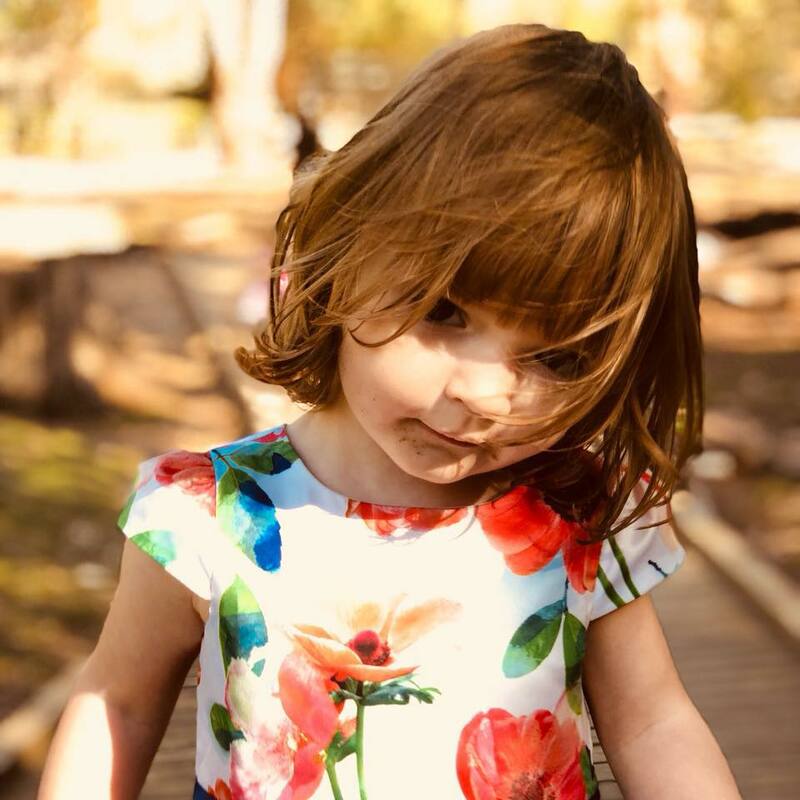 Shane has set up a Justice for Evie Facebook page where he shares articles and updates on Evie and updates on what is happening with the bill. Despite the support of one South Australian politician, the bill has failed once. The sentences in our country are so pathetic and lenient. They benefit the perpetrator. The laws are absolutely shocking. So we lost the battle but we’re still going to fight the war. Evie spent two weeks in hospital recovering, but sadly almost two years on, she still often flinches when people go near her face. Don’t get me wrong, she’s doing really well and she’s come right out of her shell because at first she was very timid and scared of everything. Miss Evie is obsessed with hob goblin for some reason. Out of all the shows hob gobbling really miss?? The caring father said Evie’s relationship with her three-year-old sister Indi has been particularly healing. They’re always running around, they help each other in the bath and if one of them is upset they’ll hug each other. Shane said he will talk to his daughter about what happened one day. He also said McMahon’s parents still have a relationship with Evie, something he would never want to deny them, he said. They still see Lorien’s parents. I would never deny my children the right of knowing the other side of their family. It’s obviously very upsetting what’s happened with their mother but their grandfather is very caring and a nice man. I would never deny him the opportunity. Some days are better than others, evie had a bad run a few weeks back she was very run down. But she is in the safest place on earth in her gods arms. Daddies arms. When the girls are older, they’re going to find out all of this stuff themselves and if I don’t tell them it could push them away and I’ll regret it. I think about how I’m going to do it all the time but I’ll obviously just be honest with them. I’ll tell them what she did, ‘Mum wasn’t well’, you know, obviously when they’re of age. Then they can decide if they still want to have a relationship with her, it’s their choice, I can’t tell them what to do. I won’t say ‘Your mother bashed you’, I’ll say that ‘Mum wasn’t well, she wasn’t doing the right thing and she made a mistake and hurt you but she still loves you’. Hopefully Evie will lead a happy life despite the start she’s had.